For a Strong and Healthy Horse, Try our Electrolytes! Imbalances caused by poor quality water or feeds, or prolonged physical exertion can take a toll on your horse's health. Our Electrolyte products supplement your horse with the essential electrolytes needed to restore imbalances for optimum health. What are Electrolytes, and Why are They Important? 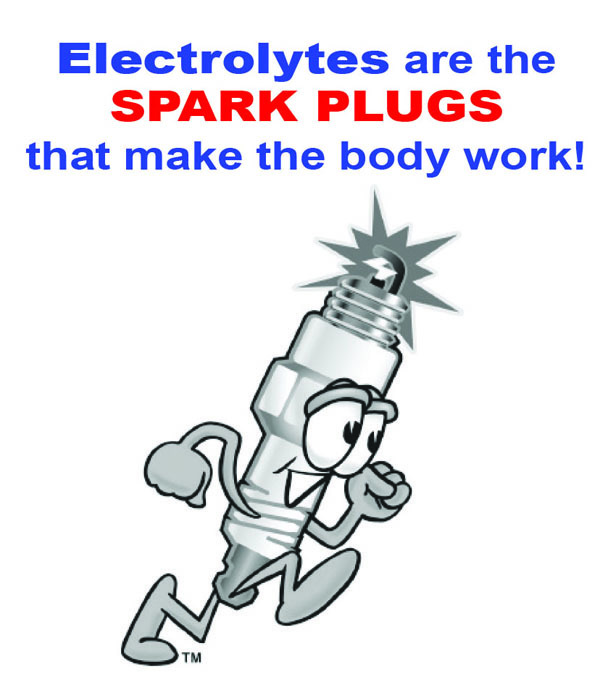 Electrolytes are often touted as elements that are essential to combating dehydration and heat stress...What are they? Electrolytes are minerals (magnesium, potassium, sodium, and calcium) that are lost through perspiration or other forms of dehydration, particularly in heat stress situations. Under ideal conditions, electrolytes within the body flow through muscle cells to keep the muscles functioning normally. However, physical exertion and perspiration deplete cells of fluids and electrolytes, thereby weakening the muscle tissues. When a proper balance of electrolytes is maintained, each element plays a vital role in maintaining a healthy and stable body. Sodium plays a role in maintenance of osmotic pressure of extracellular fluid and movement of fluid from one compartment to another; gastrointestinal absorption of specific sugars and proteins; normal muscle activity and function; as well as cell permeability. Potassium plays a role in normal excitability of nervous tissue and the ability of muscular contraction, especially cardiac, skeletal, and smooth muscles; intracellular osmotic pressure and ionic balance; and the prevention of heat cramps. It is very important to remember the dangers of working in excessive heat and of the need to replace fluids and Electrolytes lost through sweating, for both you and your horses! Supplements your horse with balanced electrolytes to help reduce imbalances caused by poor quality water or feeds. IONS™ is great to add to your horse's diet during heavy training and warm weather. Helps to restore electrolyte deficiencies caused by prolonged physical exertion. "Grass in a Pail." Fortified with Enzymes and Chlorophyll to replace nutrients that are no longer available from grass or pasture.